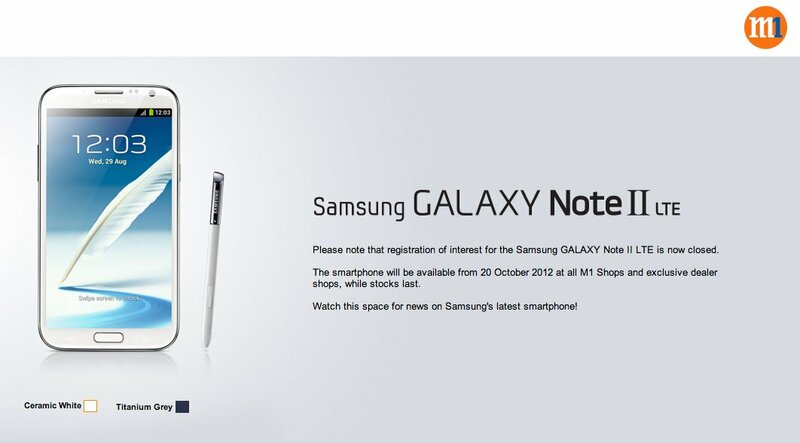 ← Pre-Registration For The New Samsung Note II LTE In Singapore Now! Bad News first, the registration for the New Samsung Note II LTE at M1 is now closed. But Good News is, the Samsung Note II LTE will be available at all M1 Shops and Exclusive Dealer Shops from 20th October 2012 – While Stock Lasts ! !